In this second article of a three-part series, learn all about how real estate agents can utilize predictive analytics to make positive changes and predictions in their business. You’re always looking for ways to show your value and stay ahead of the market. One way to do that is by using predictive analytics. As we explained in a previous article, predictive analytics isn’t a new thing, but real estate professionals have been slow to adopt it, experts say. With so much insightful data at your fingertips—from consumer demographics to housing trends to property pricing history—predictive analytics gives you an edge in a competitive landscape. Here are some specific ways for using it in your real estate business. The most relevant way for agents to use predictive analytics is to target the right clients for their marketing efforts to find the right types of buyers for specific listings. This lets you focus on your strengths: negotiation and fostering relationships. Rudy Pierre has used HouseCanary for about a year. The real estate agent with Yellow Brick Real Estate in Stamford, Conn. says he uses predictive home-price forecasts to give buyers more confidence in their investments. Also, the data helps bulletproof his logic when suggesting a listing price that sellers might disagree with, he adds. When you can pinpoint where the most updated comparables are, what direction prices are trending, and show sellers the numbers, Pierre says, “It’s hard for sellers to argue with you...I’ve seen an uptick in listings because I’m showing them something no one else is,” he says. Gone are the days of agents driving buyers around on showings to point out features of a home; buyers can find most of those details online. However, when you share predictive data reports with them, you’re adding value to their lives, says Stan Humphries, Zillow Group’s chief analytics officer and chief economist. The agents who use predictive analytics in their businesses make an instant impression with potential clients, he adds. Jay Macklin loves what predictive analytics does for his business. The broker/owner with RE/MAX Platinum Living in Scottsdale, Ariz. uses SmartZip analytics to target homeowners who might be more likely to sell their homes. The service pulls data from the U.S. Census to track the life cycle of sellers based on public records, such as divorces, deaths and marriages, Macklin says. From there, algorithms can predict a certain percentage of homeowners who are most likely to sell their homes so agents can call them (using proprietary scripts) to gauge their timing and seriousness, Macklin says. “Many agents will hear from people who want to know what their home is worth, but that doesn’t tell them whether someone’s ready to sell their home,” says Macklin, adding that agents can better “massage the message” in their marketing campaigns. Another smart use of predictive data: pairing on-the-fence sellers whose homes might not be on the market (yet) with the right buyers who are ready to make offers, similar to pocket listings. This strategy also can be applied to expired and canceled listings, and FSBOs, Macklin says. 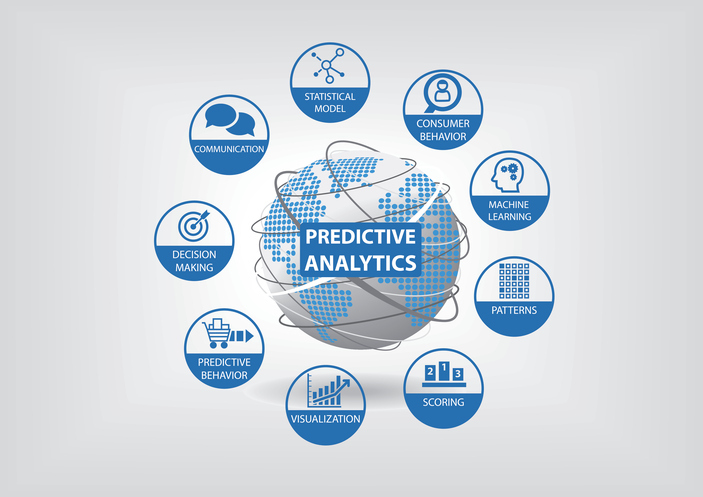 Predictive analytics program costs can vary based on how much (or how little) data you’re requesting and whether or not you request proprietary algorithms for your specific market needs. Macklin says his agents close an average of 10 transactions per year using predictive analytics. With an average sales price of $425,000 to $450,000 in the affluent Scottsdale market, that adds up to significant commissions, he says. Pierre agrees. The time he saves using predictive analytics more than pays for itself because he can focus more time in front of clients and negotiating transactions, he says. Stay tuned for the last part of our series, which will examine specific ways brokers can use predictive analytics to recruit and retain top agents.